If you are wanting to learn the stock markets, you may find yourself with many questions. There’s a lot of information to learn and process, so it’s always helpful hearing from someone who lives the stock market every day. We’ve gathered some beginner questions to help the process from our expert Stocks Analyst, Kevin Dixon. 1: How do I get started with stocks? Choose a broker to begin. There are several quality brokerage companies around the world who offer a variety of services to the individual investor. When choosing a broker, I recommend going with a well-established firm. These generally offer the greatest variety of trading instruments in addition to tools for analysis and entry into the market. Once you have selected a broker, the pathway to trading has been established. Funding your new account is done easily online or by wire transfer, and you can begin trading right away. Take the time to learn the tools your broker has for entering and exiting the market and take the time to Demo Trade if available. This is why it is important to choose the right broker to partner with as we begin our journey as an investor or trader. 2: What is the difference between Investing in the stock market versus trading the stock market. An investor in the market will buy and hold stocks over time to build a portfolio of their favorite stocks. Investment in a stock is a long-term strategy, because the investor is not actively trading the market waves. Investors can add or remove stocks from their portfolio over time. Or, they can simply receive dividends and let capital appreciation build profits in the account. Choosing the right stocks to buy is easy, because many of the best investments are household names such as Apple or Microsoft. Investing is geared toward establishing a revenue stream into retirement, as owners of stock can sell at any time. Most important to understand, this strategy does not worry about market volatility or require daily maintenance of any kind. I recommend 15 years to 30 years away from retirement as a great window to start a nest egg. A trader enters and exits the market in accordance with the timeline associated with a trading strategy. “Day traders,” for example, enter and exit the market frequently, closing in cash by the end of the trading day. “Swing trading” generally can last a few days to several weeks depending on the plan for the trade and market momentum. Trading requires more stock research simply to help choose the correct stocks for your strategy. Traders take profits and move to the next trading opportunity, often managing several positions at once. Learning trend-recognition techniques, along with how to spot potential changes in the overall market environment, helps the trader. That makes it possible to identify entries and exits with confidence. Market volatility is the friend of the trader. 3: When should I avoid investing into a stock? Since the goal of investing is building into stock positions over time, there is really no bad time to avoid the market. Traders look at market conditions to time entries and exits in accordance with a trade plan. So there will be times that a trader might not want to enter the market. Become familiar with Benchmark Indexes such as the Dow Jones Industrial Average or the S&P 500. These will provide insight to the overall market environment. A bullish market occurs when the indexes show leadership and the market conditions are more favorable for buying stocks. 4: How is the stock market different from the Forex market? 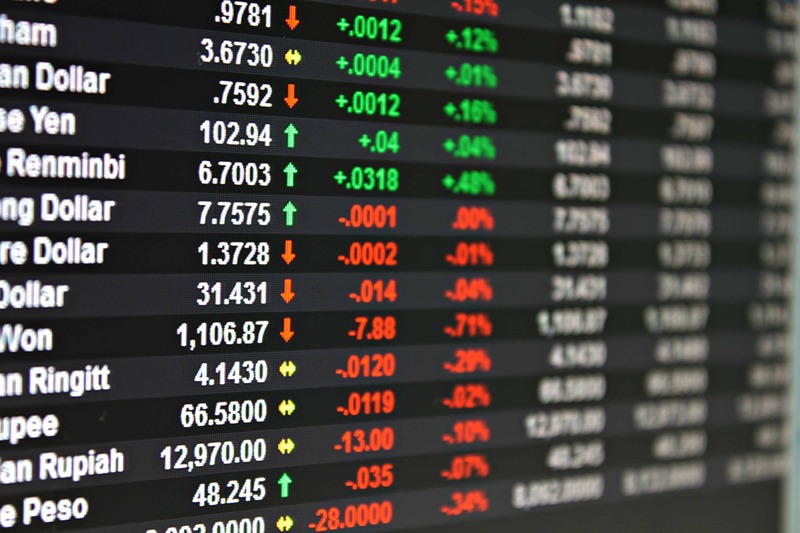 Stocks represent ownership in a publicly traded company. Owners of stocks have voting rights and potential dividend payments as benefits, in addition to capital appreciation over time. Several trading instruments are modeled around stocks such as Mutual Funds, Exchange Traded Funds (ETFs) and even Stock Options. Companies report earnings each quarter and the investor is well informed to the companies’ state of affairs. Forex is a spot market. That means you open the trade with a cash deposit that controls a certain amount of currency while the trade is open. The forex market is governed by central banks, who use a checks-and-balances system to maintain smooth global trade. Because of a lack of true ownership of a forex pair, traders tend to treat this market as a shorter-term trade environment. Since the role of the central bank is to keep rates competitive, there is really no benefit to owning a currency pair for years since long-term price movement tends to remain limited. Ownership is the key difference between trading Forex or stocks.